You can help and offer advice and be there for people, and, in the end, you are not responsible for their actions. You can’t make anyone do anything, and you are not responsible for what they ultimately do. 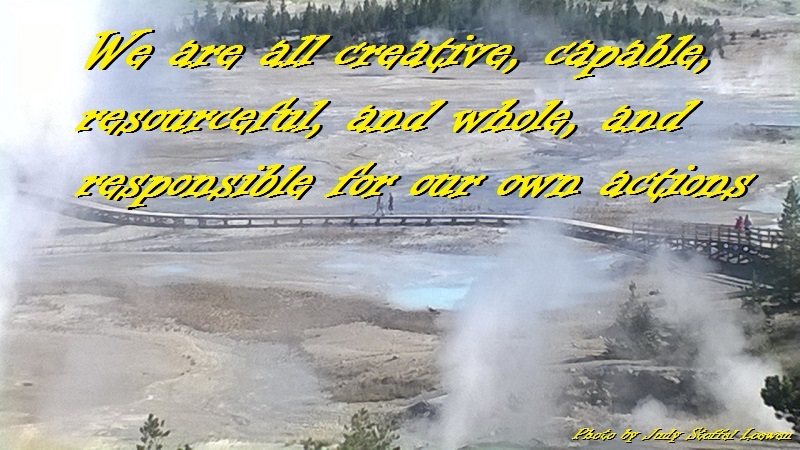 Remember to hold everyone creative, capable, resourceful, and whole, because they are. And you can add “responsible for their own actions” to that.